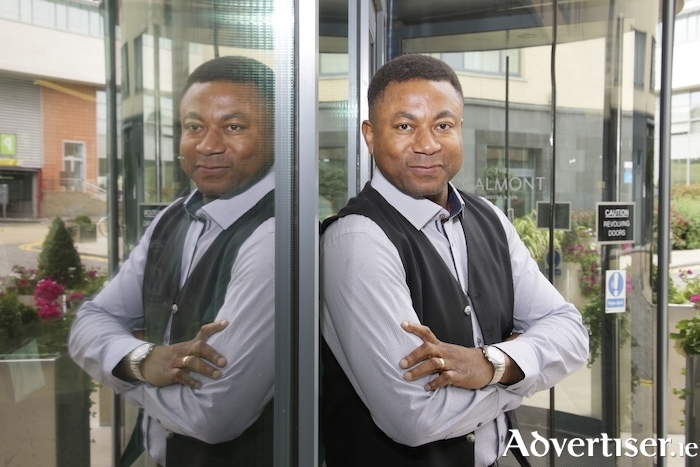 Chris Okeke is one of Galway’s leading Nigerian expats; in his many years here he has been a noted community development advocate who has contributed to many projects in the city. Chris is also a devout Christian and his faith inspired him to write a self help book entitled The World Through God’s Eyes; Worldly Regime Versus Godly Regime, which will be officially launched at The Galmont Hotel next Sunday September 16 at 6pm. The World Through God’s Eyes compares the worldly regime to a Godly regime. The reader will see how their daily choices and engagements compare to God’s blueprint. The content of the book provides solutions and pathways to better living, introducing readers to the Creator’s plan for his/her life and comparing it to the selfish and ambitious choices people have made that are not part of God’s plan. “I am an Anglican by birth but am now of the Pentecostal faith,” Chris tells me. “I draw my strength from Acts 2:17 where it says ‘In the last days, God says, I will pour out my Spirit on all people. Your sons and daughters will prophesy, your young men will see visions, your old men will dream dreams.’ I want to be a part of the Pentecost evoked in these lines, meaning that we must have faith in what we do, because without faith it is impossible to please God. Chris outlines the theme and content of his book: “The World Through God’s Eyes compares and contrasts how the world we live in contrasts with God’s blueprint for us. The book is a life-changing book that directs us to the pathway toward solutions for better living. Many of us have adopted social norms that arouse frustration because they lead us away from the right solution. We are looking for solutions to life but many of us follow the wrong route; the correct solution is to follow the way of the Lord. "In Matthew 6:33 it says 'But seek first his kingdom and his righteousness, and every other thing shall be added unto you', but if you don’t seek that righteousness, that Kingdom of God, the answer might be No. People think they can find solutions in modern things but that solution has not been found. There are constant demands, constant trial and error. The Bible says in the Book of Proverbs 14:12, 'There is a way which seems right to a man and appears straight before him, But its end is the way of death.' If you read this life-inspiring book you will see many scenarios and examples that you can relate to. It is very simple; God knows everything we need that is best for us and he can provide it. He is going to give us life, give us shelter, give us love, give us peace, so what else are we looking for? The World Through God’s Eyes is available on Amazon and in Kennys Bookshop and at the launch on Sunday, September 16th, at the Galmont Hotel. The launch event continues from 6pm to 10pm and light refreshments will be available. All are welcome.